Talk show host Stephen Colbert to be investigated over Trump joke. Stephen Colbert subject of investigation over controversial Trump joke. The US Federal Communications Commission will look into complaints made against talk show host Stephen Colbert for what some have labelled a homophobic joke about President Donald Trump. 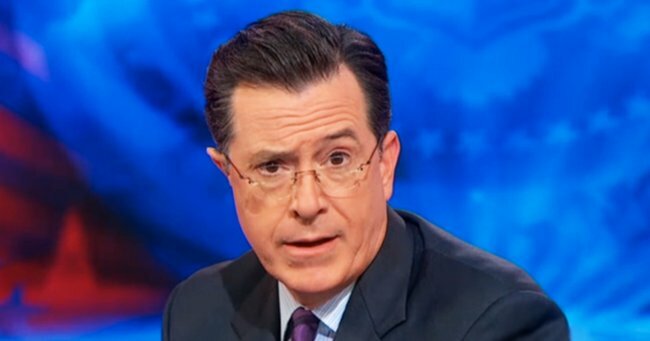 Viewers took to social media to declare Colbert’s joke homophobic. The hashtag #FireColbert began spreading around Twitter, along with calls for people to boycott sponsors of the late-night show. “I have had a chance to see the clip now and so, as we get complaints, and we’ve gotten a number of them, we are going to take the facts that we find and we are going to apply the law as it’s been set out by the Supreme Court and other courts and we’ll take the appropriate action,” FCC chairman Ajit Pai told Philadelphia’s Talk Radio 1210 WPHT. Colbert responded to the controversy during his opening monologue on Wednesday, saying he regretted his choice of words but stopped short of an apology. “So while I would do it again, I would change a few words that were cruder than they needed to be,” he said.